And to harness that power you must harness all the available information in service of improved patient outcomes. By tracking these Key Performance Indicators (KPIs), you can begin to turn your spreadsheets into goals and strategies that improve the quality of your care. KPIs are performance measurements supported by evidence-based academic literature or, when such evidence is unavailable, through the consensus of experts. According to the Joint Commission, KPIs are not intended to be direct measures of quality, but rather should serve as benchmarks to help identify your opportunities for improvement, as well as quantify the improvements you’ve made toward existing goals. These four KPIs can have the most immediate impact on your patient outcomes and move you closer to compliance with the new 2018 Joint Commission patient safety goals. Reducing the number of hospital readmissions that occur within 30 days has been a priority since 2013, when the Hospital Readmission Reduction Program (HRRP) went into effect, imposing fines on hospitals whose rate is above the national average. In 2018, Medicare expects penalties for 80% of the 3,241 CMS evaluated hospitals (2,573) are expected to total about $528 million. That’s an average penalty of more than $200,000 per hospital. High readmission rates can suggest procedural gaps in patient care that might be the root of any number of problems that impact patient outcomes and generate unnecessary expenses. Antiquated or disconnected information systems are not enough in the current value-based environment. To fully address readmission rates, you will need to address other related KPIs, such as the number of “frequent flyers” (patients with abnormally high readmissions), as well as patients with chronic conditions like asthma, COPD, congestive heart failure, coronary artery disease, — each will require specific protocols and processes to address them individually. In 2017 Becker’s Hospital Review reported on a study by the Journal of the American Pharmacists Association that revealed 26 percent of readmission were medication related and potentially preventable. 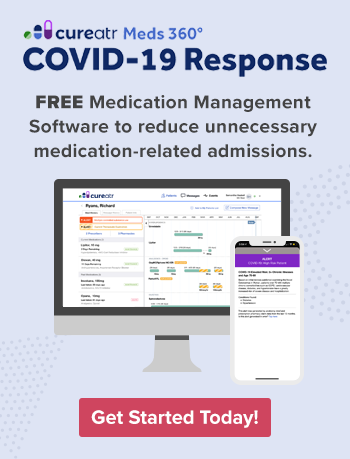 Furthermore, 20 percent of patients who were rated either “low” or “intermediate” for medication adherence are readmitted within 30 days and patients with “high” medication adherence are readmitted at less than half that rate. The Joint Commission goals also point clearly to the risks associated with patient medication reconciliation. 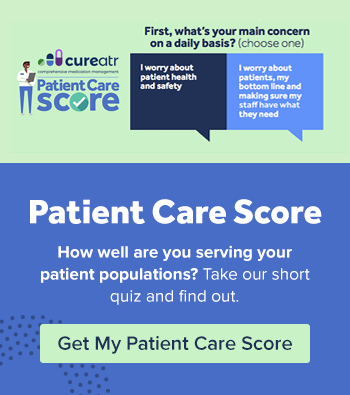 The Patient Safety Goals have specific directives for improving your protocols and procedures, and as in other areas, there are new tools available that can help you easily monitor adherence and make corrections in a manner timely enough to prevent a needless readmission. On any given day, 1 hospital patient out of 25 has at least one healthcare-associated infection. While the number of HAIs has been reduced nationally, there is still a great deal of room for improvement. We are in the middle of the current five-year goal (2015-2020) of the HAI Action Plan, an opportunity for important updates and improvements for the National Healthcare Safety Network (NHSN) to assess prevention progress while strategizing about the best way to move forward as a country. The summary of progress and next steps can be found in the Healthcare-associated Infection Data Reports. While there are a number of precautions that need to be employed to eliminate HAIs, reducing the risk begins with improving the percentage of caregivers who sanitize their hands before every patient encounter. The Joint Commission goals point to the established hand hygiene guidelines of both the CDC and WHO, as well as sterilization goals for equipment and other items that come in contact with the patient. Although these hand hygiene guidelines are not new, there are indications that adoption and proper execution of them is neither universal nor consistent. The Patient Safety Goals detail the protocols and measurements you should be employing and measuring regarding hand hygiene among caregivers — at every level of care, no matter how limited or prolonged the patient contact. Because Patient identification (ID) errors can disrupt care and harm patients in a multitude of ways, including diagnostic testing and medication administration. The Joint Commission earlier named improving the accuracy of patient ID as the most important National Patient Safety Goal since 2014. The problems revealed in a 2016 ECRI Institute Special Report included 120 duplicate patient records being created per month at one prominent U.S. hospital and 4 percent of ER personnel reporting knowledge of error involving inadequate patient identification. The 2018 Patient Safety Goals make proper identification of patients as a primary directive, requiring two different methods to ensure each team member has confidence that they are treating the correct patient. The solution can be as simple as requesting two patient identifiers (name and birthdate will suffice) when taking routine vital signs, or administering medications, blood or blood components. Mistakes when taking blood or urine samples can be reduced simply by labeling all vials and containers in the presence of the patient. Proper procedures that meet compliance followed by measurements and evaluations of your team performance will help play a role in improving your outcomes and reducing readmissions. In order to properly track and measure your KPIs, it’s vital that you implement tools to provide real-time, actionable patient data. Without the capacity to access and share patient information across the care continuum, you will rely on manual processes that are expensive, time-consuming and introduce the opportunity for error.